Personalised swimming Cap – please note, if quantity 2 is selected, please leave the basket quantity as 1. This will get you a pack of 2 hats. If you can't find what you are looking for. Try our partner sites below. 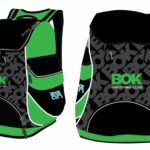 BOK receives a donation each time you purchase something from them via these links. Every donations Counts ! !